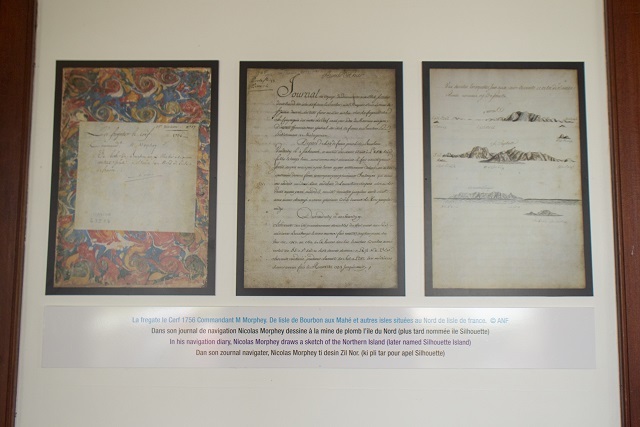 (Seychelles News Agency) - Visitors to Seychelles’ Silhouette Island have a new attraction to see with the opening of a new museum in the “Grann Kaz”, the home of the Dauban family, which owned the island until 1960. Officially opened on Saturday, the area that was once the living room of the house - now the museum - tells the history of Silhouette, the third-largest island of Seychelles. The exhibition starts with the discovery of the island in 1742 by the French. Mitcy Larue, the Minister of Youth, Sport, and Culture, opened the museum. 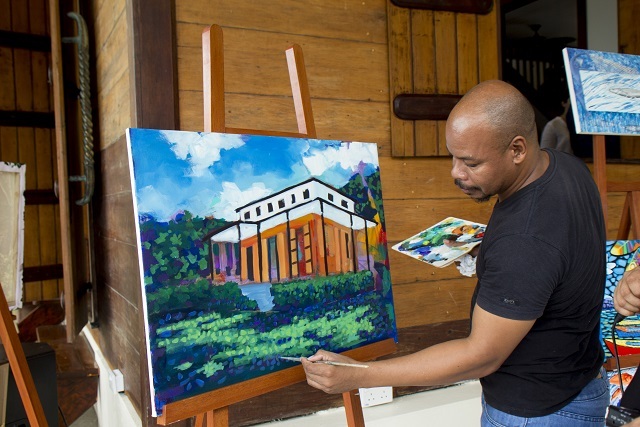 “The museum will not only be an attraction for visitors, but also a learning tool for people of Seychelles, especially the youth and school children,” said Larue, who commended the work done to turn the house into a museum. 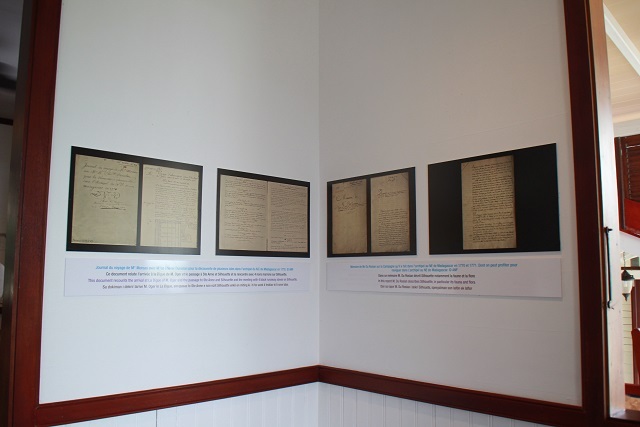 The exhibition in the completely renovated traditional house also known as the Dauban plantation house presents some notarial deeds of the first land transaction made on Silhouette obtained from the Seychelles National Archives. The Dauban plantation house was built by Auguste Dauban in 1860. The 158-year-old testimony of the “Grand Blanc” era has for many years served as a Creole restaurant managed by the island’s only hotel, Hilton Silhouette Labriz. 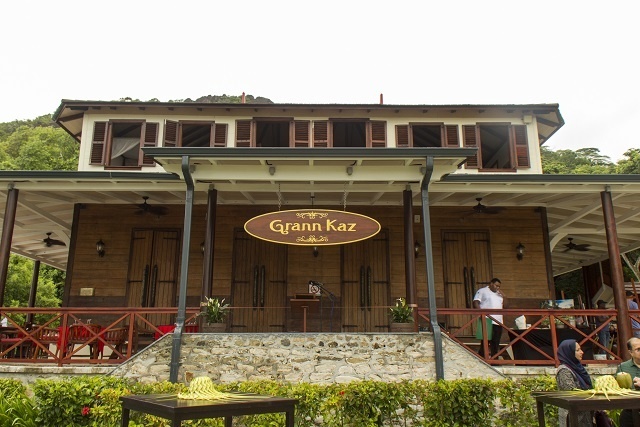 Before the Grann Kaz was turned into the museum, it underwent six months of work carried out by the Dauban family, the Hilton Seychelles Labriz Resort & Spa, the Islands Development Company (IDC) and the Ministry of Youth, Sports and Culture. All text in the museum is in the country’s three national languages – Creole, English, and French. The museum became a reality thanks to a partnership protocol signed between the establishment and the Department of Culture on January 18. The idea was initiated by Richard Touboul, Cultural Attaché of the Department of Culture. "This museum should be enriched over time with other documents and objects that have a direct connection with the history of Silhouette and thus enhance Silhouette's cultural heritage and ensure its conservation," expressed Touboul through a speech read on his behalf by Charles Morel. Due to family circumstances, Touboul was unable to attend the opening ceremony of the museum. The upstairs of the Grann Kaz is the part of the museum which traces the Daubans’ arrival to the island to the death of Henri Dauban, the last heir to live on the island. 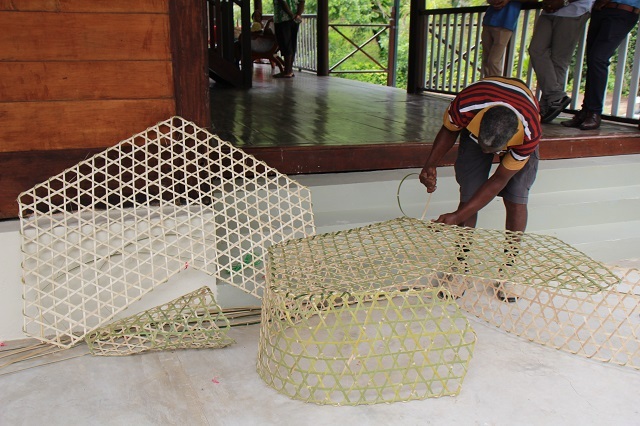 A few items of furniture left behind by the family after the island was sold to the Seychelles Government can also be seen in the museum. One of the oldest inhabitants of Silhouette, Modestine Magnan, told SNA that she is happy to see that they have turned the traditional house into a museum. “It is a beauty and hopefully this new addition will bring more tourists to the island,” said Magnan, 72. Magnan came to Silhouette – one of the 115 islands in the western Indian Ocean that forms Seychelles - when she was only two. 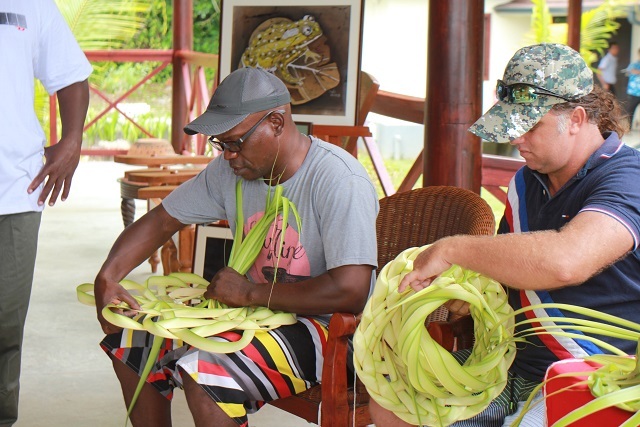 A number of cultural activities were held after the opening of the museum – the weaving of hats out of coconut leaves, the construction of the traditional fish traps, as well as culinary class amongst other activities. Local artists such as Danny Sopha, Nigel Henri, and Philip Volcere also displayed a number of their works, while painting some new pieces. An auction sale was held towards the end of the day, raising over $1,600 that will go towards the betterment of children at the School for Exceptional Child.